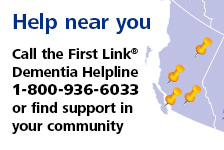 Transition to residential care | Alzheimer Society of B.C. Are you a family caregiver who is considering residential care options for a person with dementia? This workshop provides a general overview of how to access residential care, the challenges families face when making decisions about residential care, and some strategies for preparing for the transition.